View Keeping your design system alive on Notist. Creating a design system is not an easy feat, but making sure it's implemented, maintained, and doesn't suffer a slow, painful and quiet ending can be an even less attainable achievement. 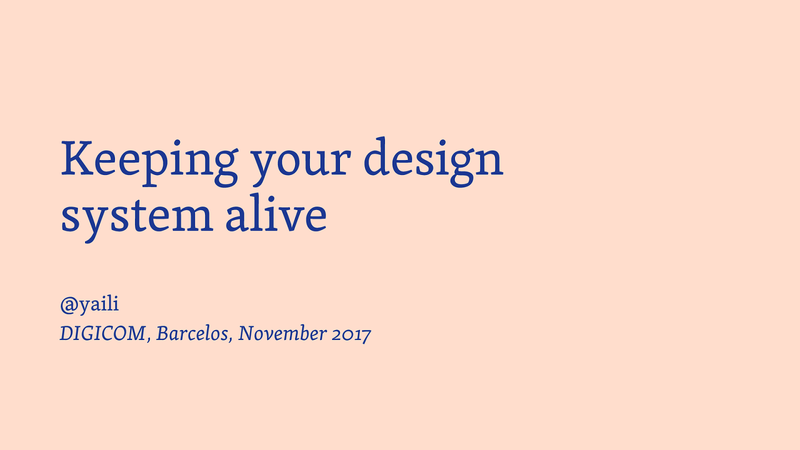 How do you make sure your design system is kept alive and healthy? How can you encourage usage and participation? Let's look at some simple and interesting ways that you can put into practice today to make your design system flourish.